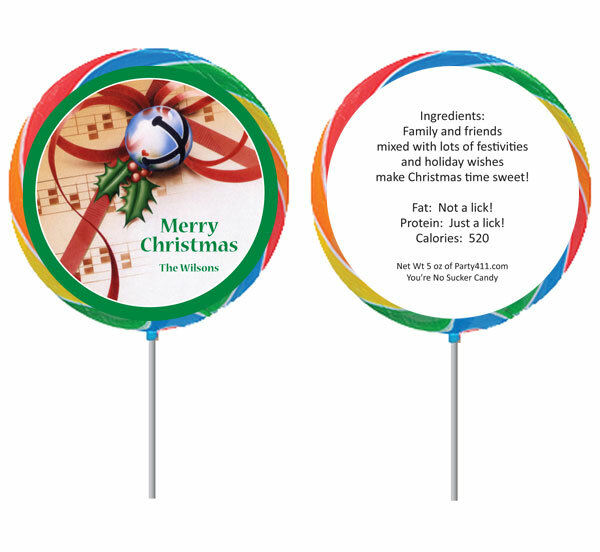 Add a surprising twist to your Christmas celebration with these Christmas lollipops. 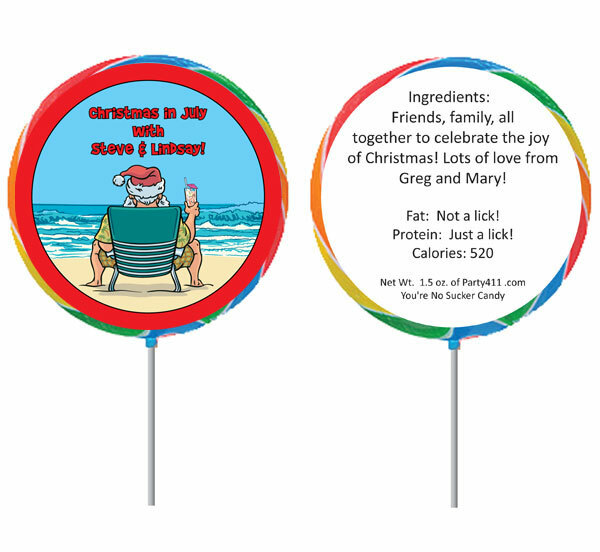 Personalized Christmas Lollipops. 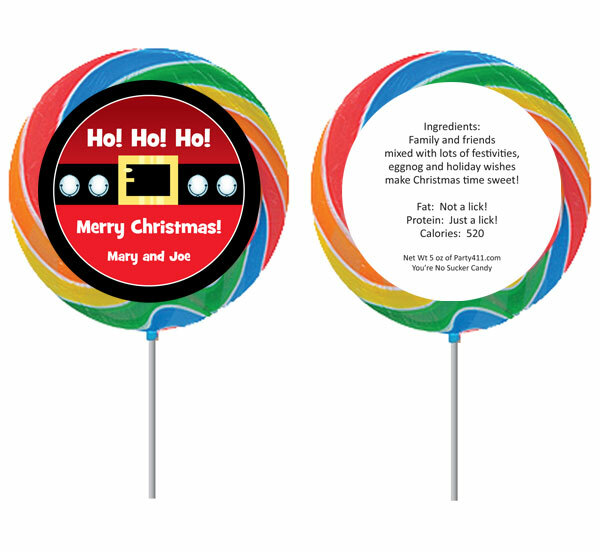 Custom Holiday Lollipops. 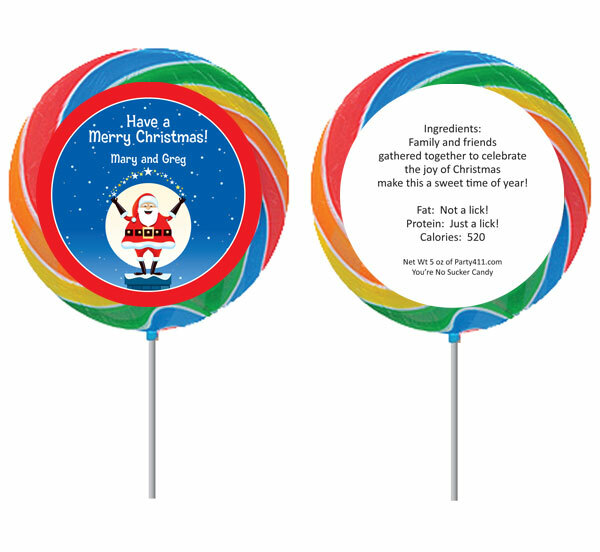 Santa is magical on these lollipop party favors. 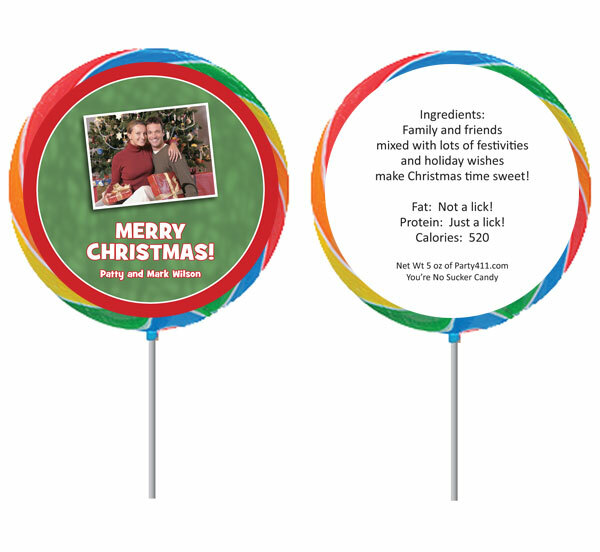 Say Merry Christmas with a lollipop party favor! 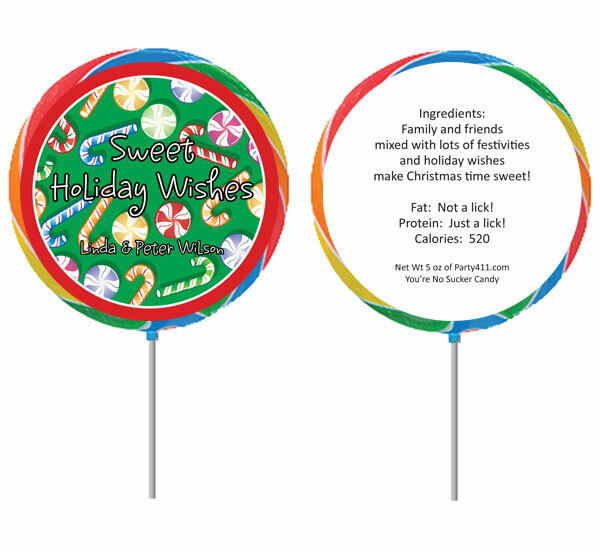 Cookies and lollipops, oh my!